I was driving my son to school this morning and I mentioned my idea of making a homemade latte for my blog. I asked him about a few flavor profiles and then he commented on his discovery of the Starbuck's secret menu. " Starbucks has a secret menu?!" I exclaimed. I knew Jamba Juice and In and Out did, but not Starbucks. Needless to say, I drove home quickly and started researching. What I found was simply amazing; Captain Crunch and Thin Mint Frappucinos, Dirty Chai and Nutella Lattes. You can also order a drink in secret sizes! I did not know about the short size, which would come in really handy when you just want a quick pick me up. If you don't have a fancy cappucino machine, the process for making foamed milk and "espresso" is relatively simple. Put your milk in a glass jar. Shake it for 45 seconds straight. This will aerate the milk and start the formation of bubbles. Then microwave, uncovered for 1-2 minutes, until the milk really starts to foam. For the "espresso" just make some stinking strong coffee, which my coffee usually is anyway. 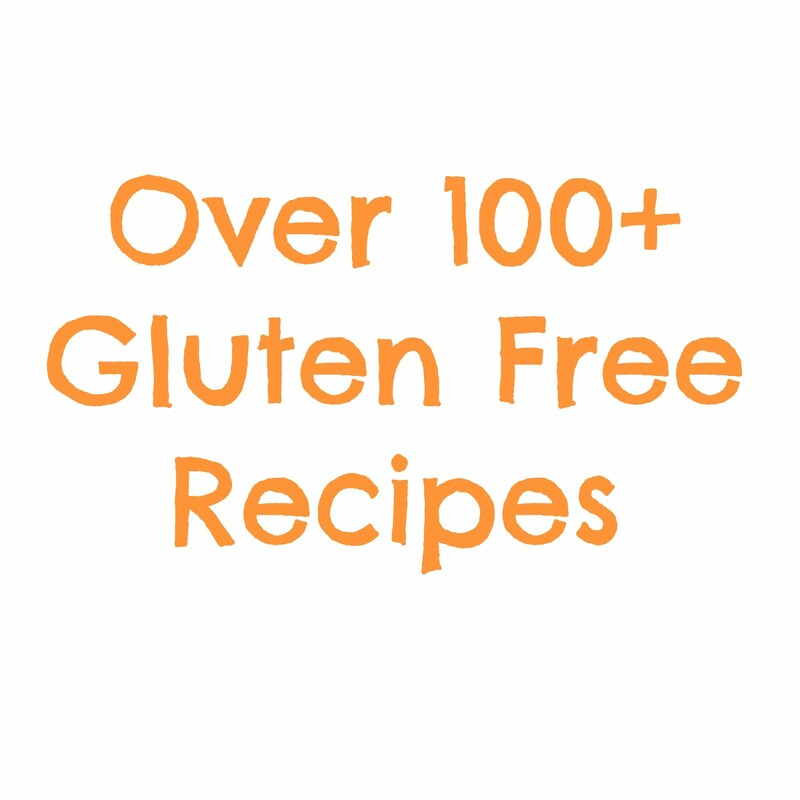 The process is fun and easy and the flavor combinations are endless. This latte is heavenly, especially if you love cinnamon. A touch of vanilla and brown sugar in the milk add a subtle sweetness. After you poor the foamy milk and coffee in, the fun starts. 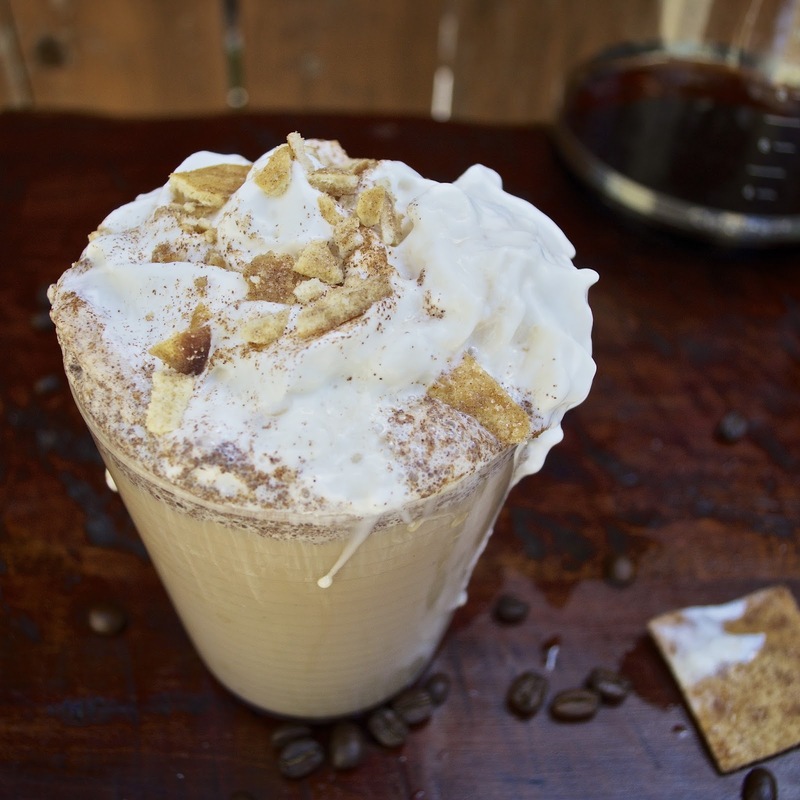 I topped my drink with a big mound of whipped cream (of course this is optional, but as a special treat it's awesome), cinnamon sugar and crushed cinnamon sugar pita chips. 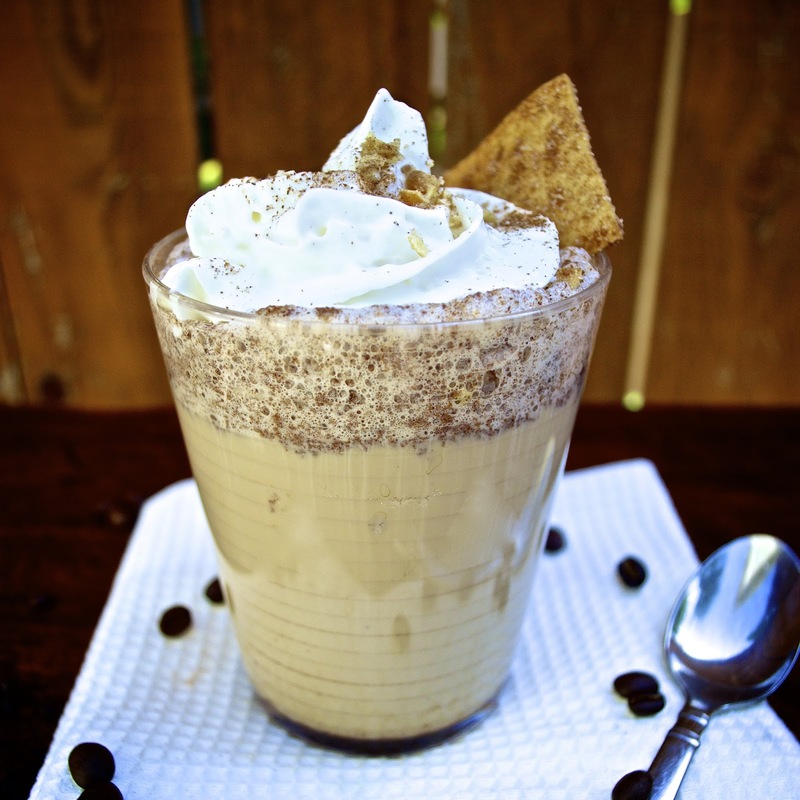 The pita chips are the "toast" and they add a crunchy, sugary and spicy dimension that complements the latte perfectly and taste simply yummy with the whipped cream. Pour milk into a jar. Add brown sugar, vanilla and 1 teaspoon cinnamon. Cover and shake for 45 seconds (milk should start bubbling and double in size). Take off cover and microwave for 1 minute. Pour hot milk into a mug or glass and then slowly pour in the coffee. 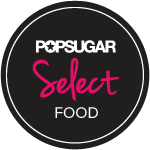 Combine the next teaspoon of cinnamon with granulated sugar. 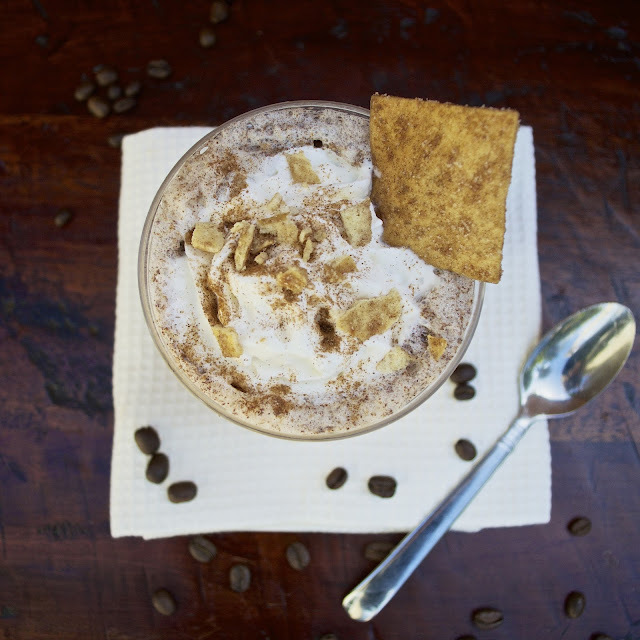 Top latte with whipped cream, cinnamon sugar and crushed pita chips.